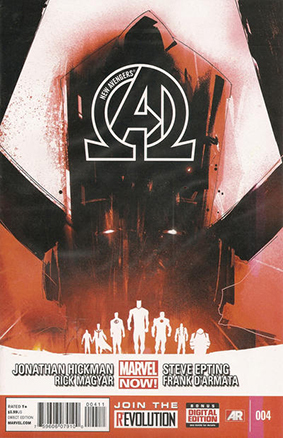 • PLOT SUMMARY: Cover by Jock (W) Jonathan Hickman (A) Steve Epting WORLD EATER' The Illuminati have learned that Earth is the center point for the death of the Universe. If this is true, doesn't that mean destroying it might save everything else? Enter the world eater, Galactus.